PATUXENT RIVER, Md. --- The U.S. Navy has awarded The Boeing Co. a contract for the procurement of 78 F/A-18 E/F Super Hornet aircraft; a multi-year procurement (MYP) of 72 between fiscal years 2019-2021, and six from fiscal year 2018. “This multi-year purchase is a great illustration of employing team effort to drive out cost and maximize efficiency in government procurement,” said Rear Adm. Shane Gahagan, Program Executive Officer for Tactical Aircraft Programs. “This acquisition strategy secures cost savings to the Navy, and the contract provisions limit Navy liability while incentivizing the cost to the contractor." The Fixed Price Incentive (Firm Target) (FPIF) contract limits the Navy’s liability and incentivizes the cost of production for industry. Under this contract, the Navy and its industry partners have agreed to share any monetary overrun or underrun once the production is completed. The target price for this multi-year contract is $4,001,410,000. This modification provides for the full-rate production and delivery of 78 F/A-18 aircraft, specifically 61 F/A-18E and 17 F/A-18F aircraft for fiscal years 2018 through 2021. Work is expected to be completed in April 2024. Fiscal 2018 and 2019 aircraft procurement (Navy) funds in the amount of $1,557,334,000 will be obligated at time of award, none of which will expire at the end of the current fiscal year. 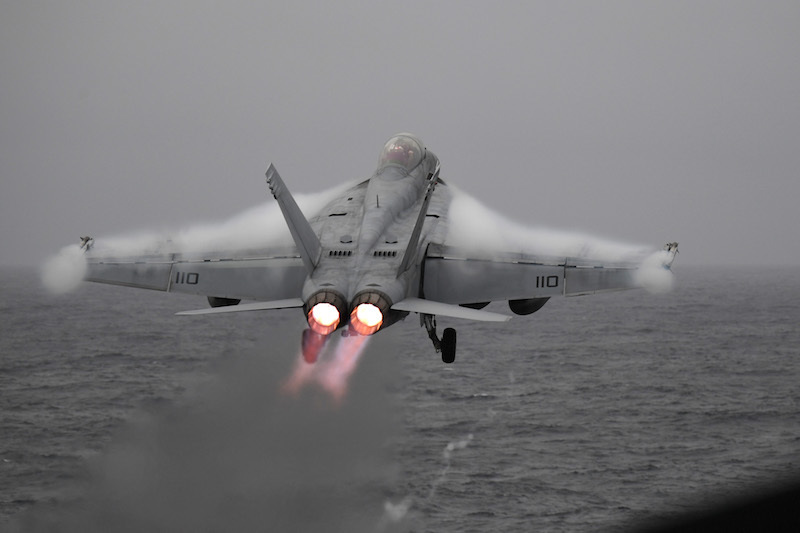 ARLINGTON, Va. --- With a three-year contract award for 78 F/A-18 Block III Super Hornets, Boeing will play a vital role in the U.S. Navy’s fleet modernization efforts.